Hi Frugalistas! Two weeks before my trip to Paris, the email came from Etihad Airways. “You have expiring points” it said. But there were only 13 000 points. Enough to make me want to do something with them if I could, but not enough to do much. Or so I thought. This was going to be a post about what to do with expiring frequent flyer points. Yes, there were expiring frequent flyer points. But there was also eating foie gras. But even with all of that, there was so much more. This is a story about friendship, making new friends, exploring, eating delicious gourmet food for free, and making the most of every opportunity when travelling. In other words, a perfect frugal first class travel experience! Some programs don’t have expiry dates on their points. Others do. It’s important to know how long those points last. You’ve earned them, so if possible, make sure you use them – they have a monetary value. I decided my 13 000 points weren’t really enough to do anything flight wise. I knew Etihad have a good online shop, so that was where I headed. Maybe I could find something nice to buy. But then I saw the Travel Experiences section of the online shop. I was going to Paris in two weeks. Maybe I would be in luck……..
And there it was. The foie gras lunch. In Paris. Available any day of the week. 20 000 points. A voucher that could be redeemed any time in the next twelve months. I was in luck. I love foie gras. And I was going to Paris. Because I always keep a balance of membership rewards points on my American Express card, I was easily able to transfer my missing 7000 points to my Etihad Guest account. The voucher for my foie gras in Paris was mine. Fast forward a couple of weeks, me getting lost on the way, and finally there I was. 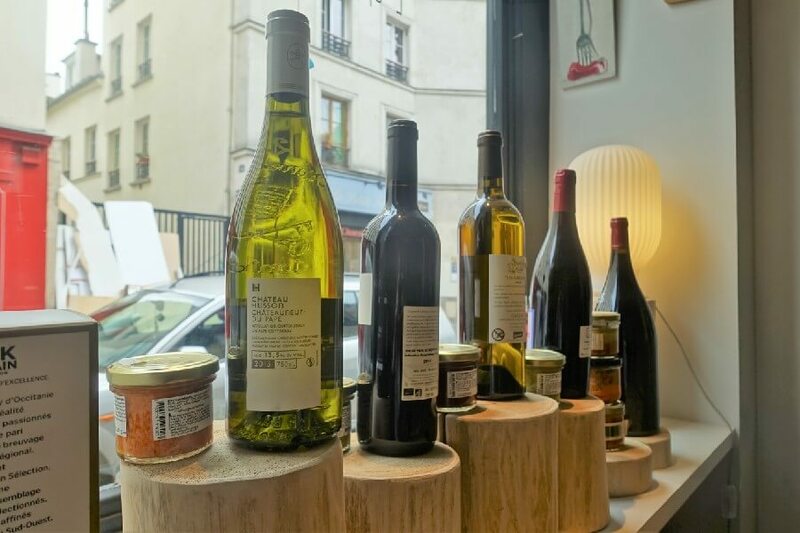 L’Epicerie Saint-Sabin. And my foie gras. 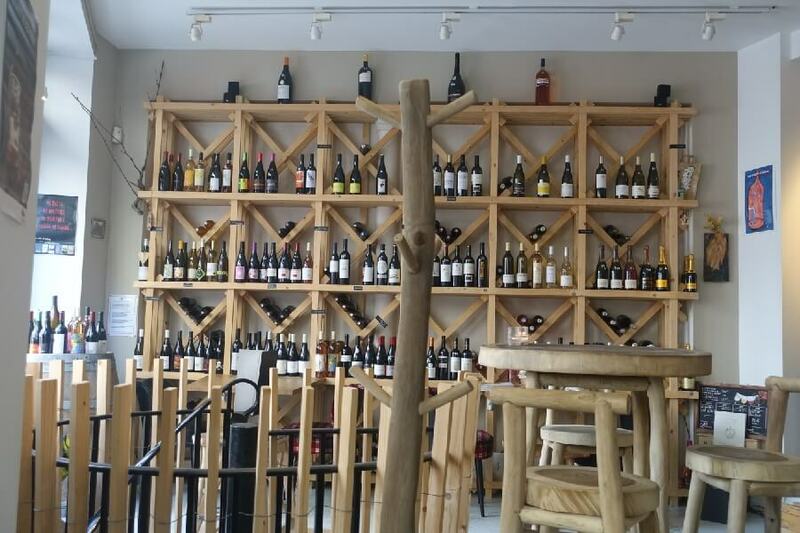 An epicerie is a French institution – a gourmet food shop that usually also sells wine, and sometimes has a few tables to serve food on site. It was pleasant and inviting, but not at all fancy. It was time for my lunch, so in I wandered. A man was sitting at one of the tables reading the newspaper. He greeted me with a cheery “bonjour” as I went in. Then Florence, my hostess for lunch appeared. Then her husband, Laurent. The other customer in the shop with the newspaper was introduced as Pierre. I got the impression Pierre was a regular. We all chatted away. It was all very friendly and relaxed – not at all what I imagined. For some reason I thought eating foie gras in Paris would be a stuffy affair. But not at L’Epicerie Saint-Sabin. We all talked. Florence, Laurent and Pierre were interested in how I came to speak French so well. Pierre took the opportunity to practice his English. It was casual, it was relaxed, and I was having fun. And I hadn’t even had my lunch yet! Lunch consisted of three courses of foie gras with matching wines, toast and bread. Traditionally foie gras is served with toast, but Florence explained that it was also nice with bread. And that she actually preferred it with bread, so maybe I’d like to try it. Laurent was on wine duty. 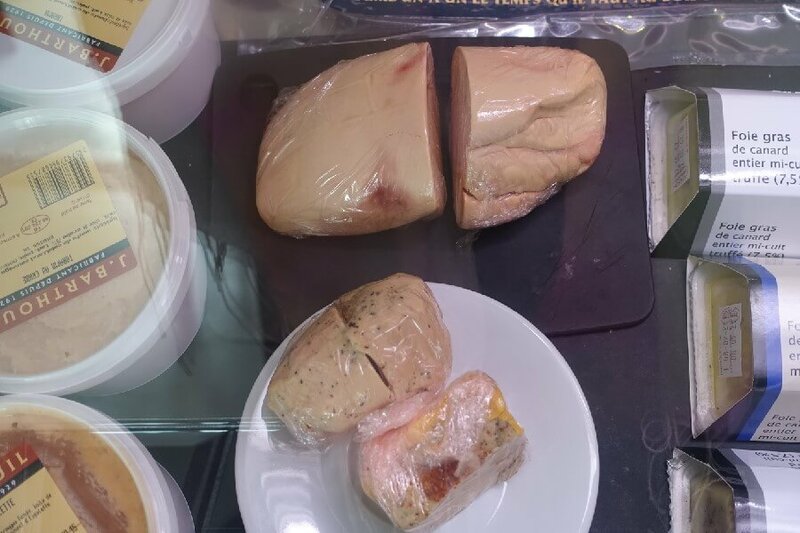 Yes, you can eat foie gras with bread – and it tastes great! Now the foie gras. My first course was a mi-cuit (half cooked) duck foie gras with spices and fleurs de sel (flower salt). Laurent serves me my first wine: a light, but sweet white wine from Gers region of the South West of France, not unlike any wine that is typically served with foie gras. Laurent suggests I may like to keep a little of this first wine to try at the end of my meal……….. The foie gras is quite firm in texture, and tastes like duck pate. But the fleur de sel takes it to a whole other level. And Florence is definitely right about the bread. It’s a wonderful partner. The foie gras is so delicious I can’t wait for my next course……..
As I eat, Pierre is looking on approvingly. He keeps asking me if it’s good and is concerned that I’m enjoying my foie gras and my wine. Next thing I know, he’s got his own plate of foie gras, with a glass of wine. And that’s when the fun really starts. Pierre’s foie gras is the one I’m going to be eating last of all. He’s in heaven. Just the look on his face says it – whether you could understand French or not, there was no doubt. Pierre was loving his foie gras. Smiling and sighing with pleasure, he keeps repeating how it’s melting in his mouth. Next for me, it’s a cured foie gras. An entirely different type of foie gras to what I was used to. It’s ultra smooth and ultra creamy. Laurent has chosen a much lighter and drier wine to complement my second course. It’s a chardonnay viognier from Rocamadour, also in the South West. I’m familiar with Australian chardonnay viognier, but this is different. Much lighter, much drier. More elegant, and dare I say it, more refined? Finally, it’s my turn to try the foie gras that Pierre had enjoyed. He was almost dancing in his chair with anticipation as my plate was served. I was hoping I liked it. I couldn’t let Pierre down could I? So what was it that had Pierre almost literally on the edge of his seat? 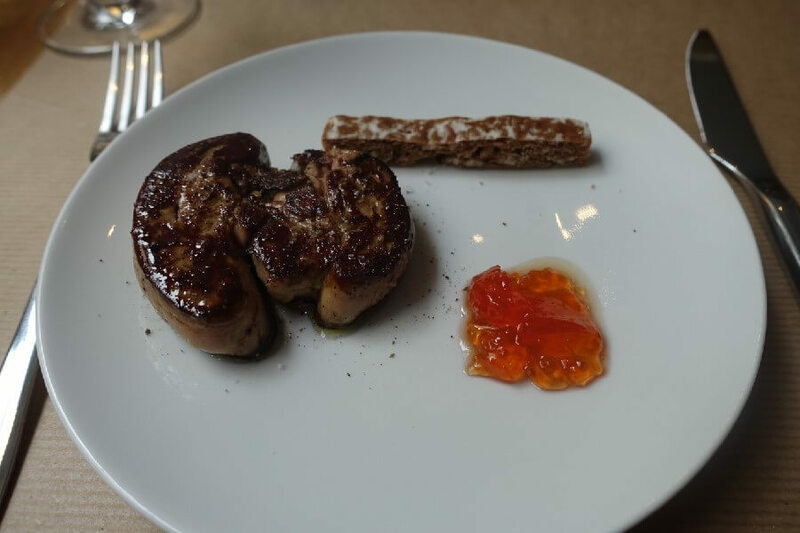 A slice of foie gras cut directly from the lobe of the liver, and pan fried. Served simply with a sliver of pain d’epice (gingerbread) and a chilli jam and a glass of Syrah Grenache from the Luberon in Provence to accompany it. Taking my first bite I know exactly what Pierre meant. I’m in heaven too. It literally melts in the mouth, or as the French say, it’s “fondant“. It’s so, so good, and like nothing I’ve eaten before. I can’t believe how wonderful it tastes with the gingerbread. While I don’t want my foie gras lunch to end, like all good things, it does. 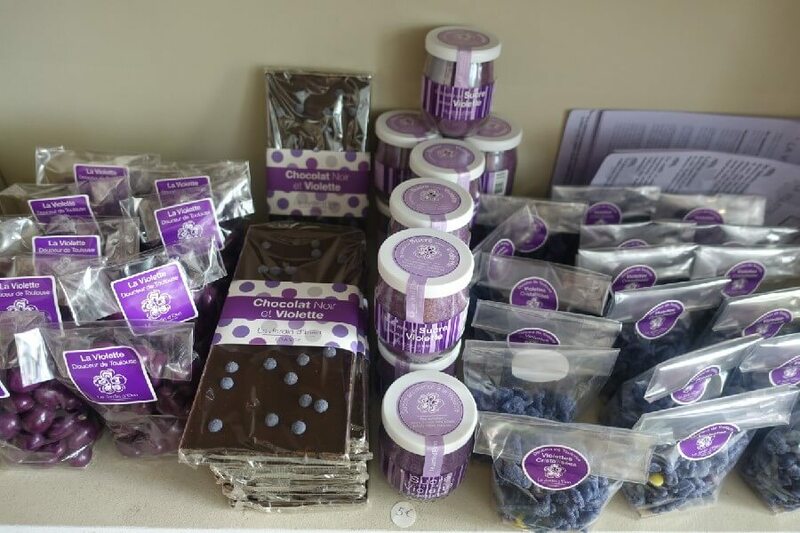 Before he leaves, Pierre is tempted by both some gingerbread and chocolates with violets. We share one last joke as he scuttles off with the look of a greedy school boy to enjoy his spoils. And I finish my first glass of wine, which by now tastes like an amazing mouthful of sultanas (golden raisins). A coffee and I’m done. Being from the South West (along with Alsace the region of France that claims foie gras) Florence and Laurent source all their produce from near Toulouse from traditional suppliers. 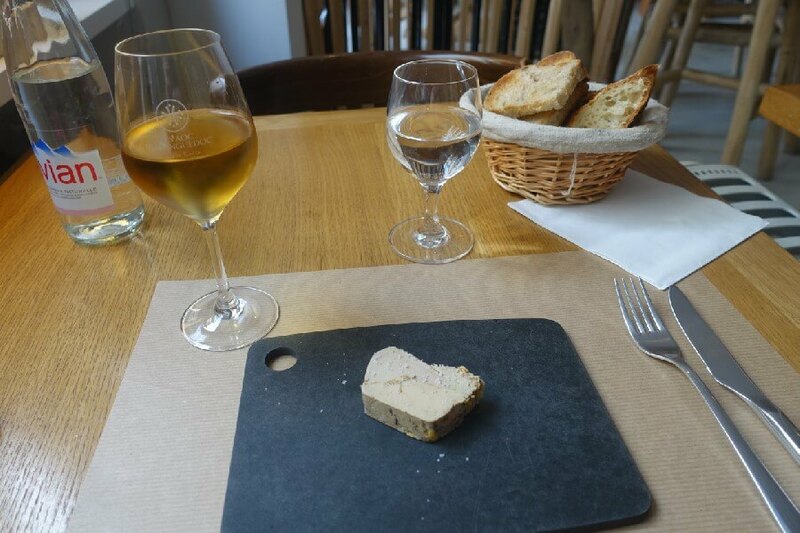 I’m amazed at the different types of foie gras, and how well the local wines match the food. It’s a perfect lesson in eating local. I could have just let those Etihad points expire. But I’m so glad I didn’t. This could have been a terribly touristy experience in an over priced tourist restaurant. But it wasn’t. Instead I had a fun time in a part of Paris I didn’t know. I felt like a guest in someone’s home. Florence and Laurent were charming and extremely knowledgeable hosts. Pierre made me feel so welcome at his “local” where he sat every Saturday to have a bite to eat, and read his paper. Florence and Laurent regard him as a friend, and he made me feel like one too. My foie gras lunch in Paris is exactly what frugal first class travel is all about. By using my points smartly, my lunch cost me nothing. I had a fabulous lunch that was a genuine highlight of my trip. It was an honest, authentic and fun afternoon that I couldn’t possibly have planned to create. We joked, we laughed and I learned. With the locals. 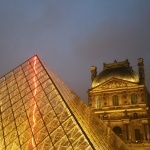 For me, you can’t get any better…………..
Are you heading to Paris? This link will take you to Booking.com my preferred site for hotel bookings. It is an affiliate link, so I do earn a small commission if you do make your booking here. 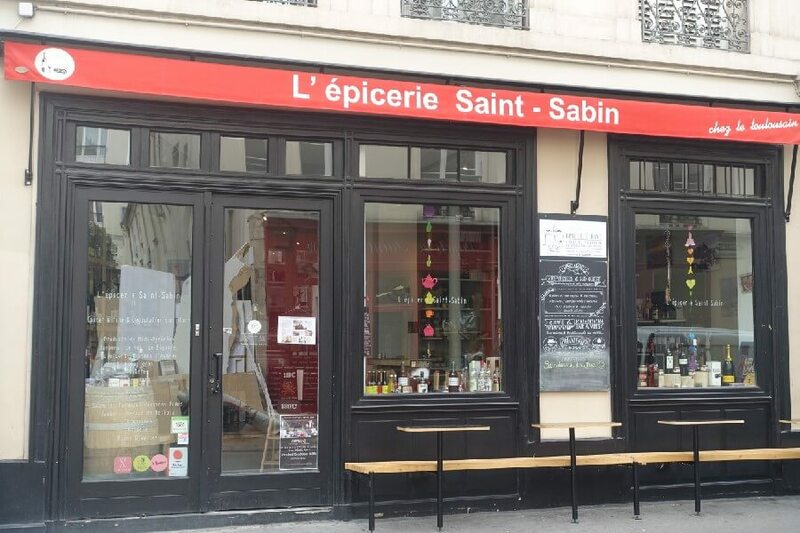 L’Epicerie Saint-Sabin is in rue Saint Sabin in the 11th arrondisement of Paris, just in behind Place de la Bastille. 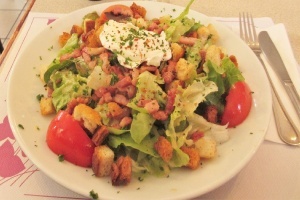 Florence and Laurent do speak English if you think a foie gras lunch needs to be on your itinerary in Paris. 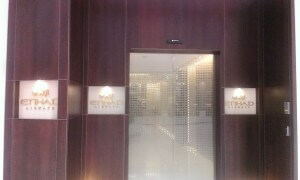 While I booked my lunch through Etihad, the booking was made via the “experiences” company Mr Aristotle. I’m sure you can also do as Pierre did, and just wander in and order a slice of foie gras. I know Florence and Laurent will make you welcome. 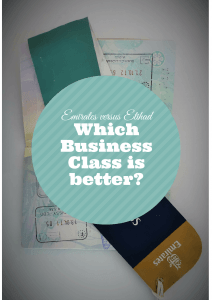 This may just be my favourite Frugal First Class post EVER! 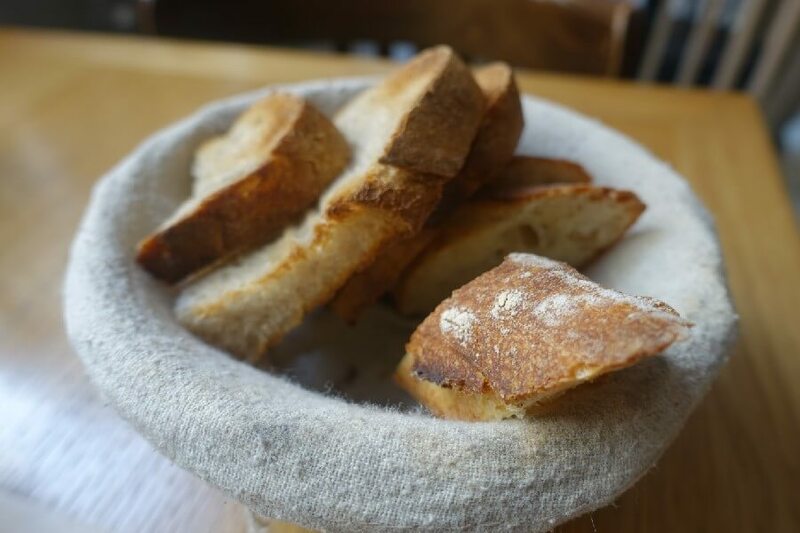 This is 100% why I LOVE Paris – lovely kind people with plenty of personality and character, a charming shop where quality just shines through, a winning bread all the way! And so often I hear people say that their points are a waste, that they’ll never have enough points to get anywhere, but it may often be a better deal to catch a flight sale to Paris and use your points for special experiences. This is one really good advice. Eating foie gras for free. You are a really wise frugal traveler. I should consider all these things too. That is great that you were able to turn your points into an experience while you were on your trip. 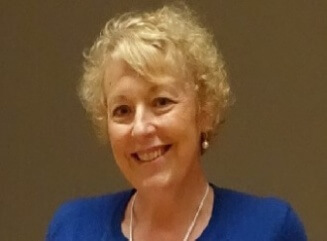 Thanks very much Elena – local experiences are always so much fun aren’t they? Amazing Jo! I’ve never seen a travel experiences section for redeeming FF points, so that’s a fantastic initiative on Ethiad’s part. And great customer service that they emailed to let you know your points were expiring, because I bet not many would do that. Reminds me that I need to check when my Qantas points expire – I think they only expire if you don’t have any activity on your account for 18 months. Will have to check. Glad you had such a afabulous experience in Paris! It was great customer service Meg – I’ve heard horror stories of mileage points disappearing overnight. And I didn’t even have that many…..